The Kings of Queens Business Awards & Networking Event honors influential men in business whose major achievements and whose participation in many community activities throughout the years has helped the borough grow. 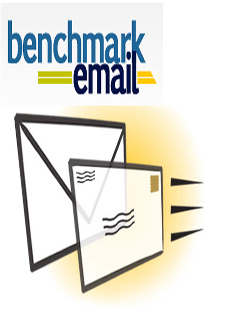 The event includes a business expo with networking followed by a dinner and awards ceremony. Thomas Chen, President & CEO, Crystal Windows & Door Systems, Ltd.
Anthony Caiazzo, President, Caiazzo Plumbing & Heating Corp.
Joseph V. Crifasi, Licensed Real Estate Broker, Crifasi Real Estate, Inc.
Dragon Deng, President, New York Mart Group Inc.
George L. Greco, Principal, Midhattan Woodworking Corp.
Hanson James, President, Creative Construction Services Corp.
Rocco Oppedisano, General Manager, On Time Ready Mix Inc.
Ram Singla, President & CEO, MAR Air Foods, Inc.
Lennox Lewis, CM, CBE is a retired boxer and the last undisputed world heavyweight champion. He holds dual British and Canadian citizenship. As an amateur he won gold representing Canada at the 1988 Olympic Games after defeating future heavyweight champion Riddick Bowe in the final. Lewis is regarded by many as one of the greatest heavyweight boxers of all time. 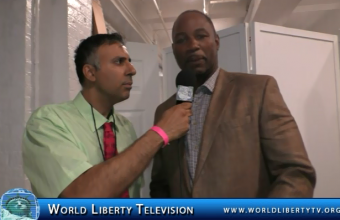 World Liberty TV’S Executive Producer Dr.Abbey had the pleasure of interviewing Heavyweight Boxing great During NYFW -2015 , where he was attending a live Runway fashion show by ArtisTix . This NY Fashion Week journey into forbidden Africa as couture jewelry company, House of Roderick, sends you into a sensory overload of opulent jewelry, outrageous dance and an uplifting tale of a young warrior boy who dreams of becoming king! As natives chant, lions roar and a new queen reigns; a wild-eyed, witch doctor is about to cast an irreversible spell that makes this show, unforgettably riveting! Pageantry and celebration soon herald this Spring/Summer 2016 Jewelry Collection… that you just won’t want to miss! “Tribal Winds” is the only Official NY Fashion Week Event to unite theater, music, dance, history, culture and fashion together; while proudly supporting the American Red Cross( NYC Disaster Relief Fund ) & WILDCRU Foundation (Cecil the Lion) in Africa. 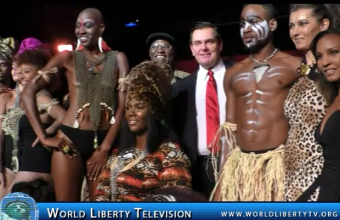 World Liberty TV, Fashion Channel was The Official Media partner for this wonderful event, great show, jewelry pieces by House of Roderick and a great performance of the cast for Tribal Winds. FTL MODA has joined forces with the Christopher & Dana Reeve as a nonprofit partner for NYFW Spring/Summer 2016 (SS2016) for its presentation on September 13, 2015 at the historic Vanderbilt Hall at Grand Central Station. With a shared mission to push boundaries and challenge disability stereotypes on runways and beyond, the upcoming chapter of FTL MODA at NYFW promises to impact the global fashion scene. “We are extremely proud and very excited about this alliance with the Christopher & Dana Reeve Foundation, an esteemed nonprofit recognized for driving innovative research and improving the quality of life for those living with paralysis. 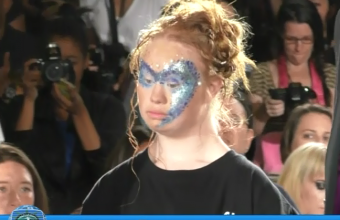 We share their steadfast commitment to raising awareness for the paralysis community and together, we will break down barriers to achieve total inclusion for models living with disabilities across the most prestigious runways of the world. By challenging the stereotypes surrounding disability, we will truly create fashion free from confines,” said FTL MODA Producer Ilaria Niccolini. 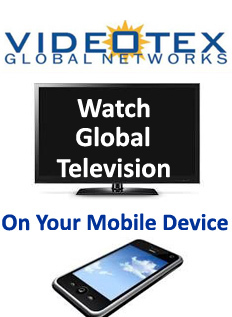 “We are also thrilled to confirm our partnership with Global Disability Inclusion, LLC. After our synergy for the February show in NY and fashion week in Milan, Italy we are pleased to have their participation in the September 2015 show,” concluded Niccolini. Global Disability Inclusion, LLC is a boutique consulting firm providing disability inclusion strategies for global companies and U.S. Federal Contractors. Our work helps companies realize the business benefits of including people with disabilities in the workplace, the workforce and the marketplace. Couture fashion designer Evgenia Luzhina ; Iconic Indonesian fashion label Shafira Couture; Rising design star Anniesa Hasibuan; Acclaimed Indonesian designer Diana Putri; New York City designer Lauren Tormenta; Upcoming designer label DiDomenico Designs; Designer Jossie Medina; Teresita Rodriguez Tanon entitled “Kobiet” the latest accessories collection; Slovakian designer Renata Kliska; Texas-based designer Evelyn Suzette , latest collection for her UpScales Fashions 43, Rising Peruvian design star Paola Gamero; Rising design star Laura Santana, collection entitled “Femme”, Award-winning designer Jorge Diep; designer Lainy Gold and Celebrated jewelry designer Monalisa Okojie. 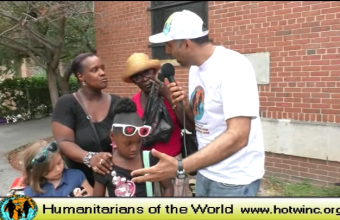 On Sat Sept 12th 2015, Volunteers from the Humanitarians of the World Inc. packed over 200 Bags filled with Toy’s, tee-shirts caps, Electronic items and many more items, to distribute to needy families, low income , where the parents of these children cannot afford to give them a present during Going back to School..
Every Year Humanitarians of the World Inc. (HOTW INC), pick a borough in New York and find the neediest families to distribute these gifts, Rabbi Hadassah From the office of Senator Rev, Rueben Diaz, Sr. and Mrs. Ana M.Reyes ,President of Villa Maria /Ana’s Dream Inc in the Bronx made plans to round up the needy families in the Bronx, to make this presentation possible to over 400 Children in need. 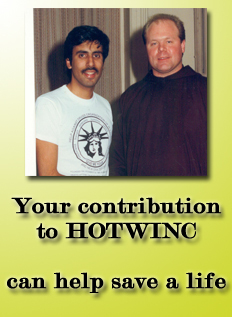 Please remember our “Motto” Your Contribution to (HOTWINC) can help save a life! 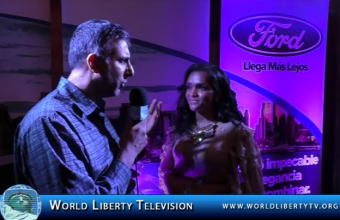 World Liberty TV, Fashion Channel had the pleasure of speaking with founder Albania Rosario of Uptown Fashion Week, see what she had to say to our World Liberty TV ,Fashion Channel , and also See her great show she had During NYFW-2015. The Inventor of ready to wear, at the age of 17 then I went on to do some more modeling for jordache jeans, also the international male collection also Sergio Valente jeans, I was signed to a spin off of division of karin models called Starz Model Management, this is when I really realized my love for fashion, this is about the time when I developed A fondness for japanese clothing once I went to the Famous Designer Kanzai Yhamamoto Of Japans shows for 5 years I knew in my mind. do all of these wonderful things fashion design photography , I also am working as A mother booker for models and subcontractor for different modeling agencies providing agencies and models for magazine and print currently till this day I am also A DJ and record producer I was born and raised in the Bronx with amazing parents of Puerto Rican and southern heritage. I am currently creating my fall winter collection, for February and to seeing my world Liberty TV Family at my next show I am also in the process of opening a small boutique in the new york city area I will keep my World Liberty TV, family posted thank you so much Andre Galliano for your support and I totally support and am behind the world liberty tv movement. 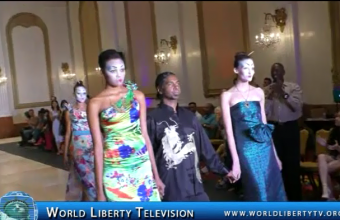 World Liberty TV, Fashion Team was on hand to witness The Debut of Andre Galliano’s Haute Couture line for men and women, we at World Liberty TV, as well as hundreds in the audience agree that Andre Galliano’s Haute Couture, line is the next best thing , and he is here to stay. 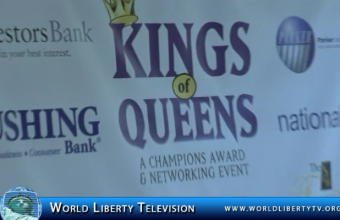 See Exclusive Coverage right here in our World Liberty TV. NEW YORK, NY -During the inaugural New York Fashion Week, internationally acclaimed fashion designer Malan Breton presents a collection for man, and woman inspired by his recent travels to Taiwan’s, Sun Moon Lake. As a partner to the country of Taiwan, Malan Breton’s collections have received critical acclaim in the mainstream fashion media. This season Malan Breton continues his Journey to Taiwan series with a collection called “Reflections”. This fashion week with Taiwan Tourism Bureau, Breton will incorporate visual elements drawing from his rich background in the arts. The collection will incorporate traditional Taiwanese dying techniques, embroideries, silks, and fibers that will bring this eastern inspired collection into a modern western silhouette. The show will also incorporate live music, and the use of modern technology to build upon this already stunning story of one of the most inspiring places in the world Sun Moon Lake. Presented at Style Fashion Week, the collections final touches will be added by Malan Breton’s hair partner Ecru New York, with tattoos by Black Lace Skin Jewelry. The show will be a multimedia spectacular set to the pace of New York Fashion weeks Spring Summer 2016 collections. This season reflect with us on the beauty of this beautiful collaboration. Malan has teamed up with cancer research charity, Sound Affects. In support of Sound Affects, he has donated a finale gown that will be auctioned off during his NYFW Wrap Party on the 15th. 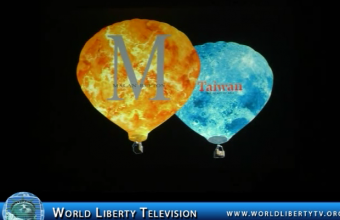 World Liberty TV ,Fashion Team was on hand at NYFW Styling Event where Malan Breton, did his Runway show, see it right here in our World Liberty TV, Fashion Channel.